His primary research interests are in computer algorithms and their applications. 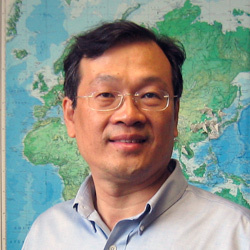 He has published more than 150 publications in a broad range of research areas, including algorithms for computational finance and economics, nano technology (self-assembly), computational biology, data security, graph theory, parallel computing, and combinatorial optimization. He is a dedicated teacher. In addition to teaching a variety of courses in algorithms, he enjoys teaching numerical analysis and mathematics. Among his many community involvements, he is Editor-in-Chief of Algorithmica as well as Editor-in-Chief of Encyclopedia of Algorithms. He has served as a judge in science fairs at local schools in the Chicago area. He was originally from Taiwan and has strong active professional ties with Asia among other regions. For administrative services, he believes that an essential mission in leading an academic community is to proactively support the careers of fellow community members; he excels at efficiently and effectively mobilizing resources to provide such support.